Some have lauded Pokémon Go as the next great health and fitness enabler since the “invention” of running. After all, over the span of just a few days it has forced half of Western civilization to unplug from Netflix, get off the couch and move around, and to do so outside! The cynic in me perceives deeper, darker motives at play: a plot by North Korea to distract the West while it prepares a preemptive nuclear strike; a corporate sponsored youth brain-washing program; an exquisitely orchestrated, self-perpetuated genocidal time-bomb wrought by shady political operatives; a Google inspired initiative to tackle the obesity epidemic. A legendary Pokémon, such as Mewtwo, will show up at the Republican National Convention in Cleveland, and it will be promptly shot by open carry fanatics. The first Pokémon Go fatality will occur by July 31, 2016 — a player will inadvertently step into traffic while trying to throw a Poké Ball. 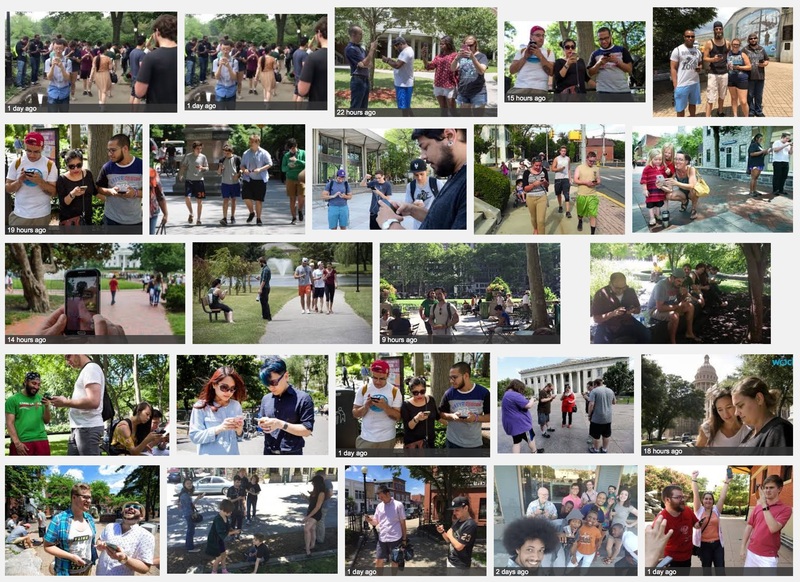 The hundredth Pokémon Go fatality will occur on August 1, 2016 — the 49th player to fall into a sewer and drown. Sales of comfortable running shoes will skyrocket over the next 3 days, as the West discovers walking. Evangelical mega-churches in the US will hack the game to ensure Pokémon characters appear during revivals to draw more potential customers. Pokémon characters will begin showing up on Fox News and the Supreme Court. Tinder will file for chapter 11 bankruptcy and emerge as a Pokémon dating site. Gyms and stadia around the country will ditch all sporting events to make way for mass Pokémon hunts; NFL’s next expansion team will be virtual and led by Pikachu as quarterback. The Pokémon Company, Nintendo and Niantic Labs will join forces to purchase Japan by year’s end. Google and Tesla will team up to deliver Poké Spot in-car navigation allowing players to automatically drive to Pokémon locations. Donald Trump will assume office of PokémonPresident of the United States on January 20, 2017; 18-35-year-olds forgot to vote. World ends, January 21, 2017. 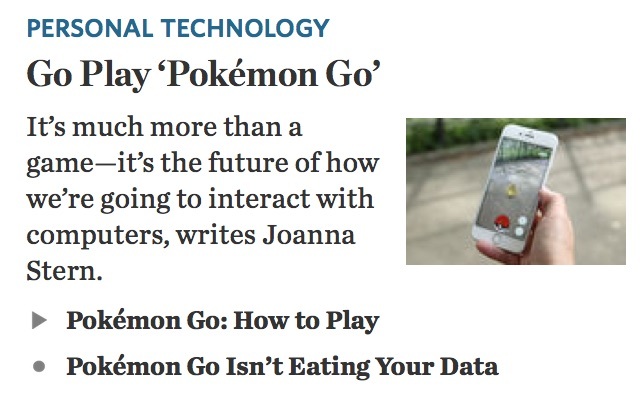 If you’re one of the few earthlings wondering what Pokémon Go is all about, and how in the space of just a few days our neighborhoods have become overrun by zombie-like players, look no further than the WSJ. Rupert Murdoch must be a fan.